Thinking back, I was never a big fan of my sewing machine and there were a lot of situations where I had to force myself to sit in front of it. Now, a couple of years later, I feel a lot more comfortable and love to tackle projects that involve even a lot of advanced sewing techniques! Let me give you a couple of useful tips how I turned sewing into a fun and exciting experience! 1. 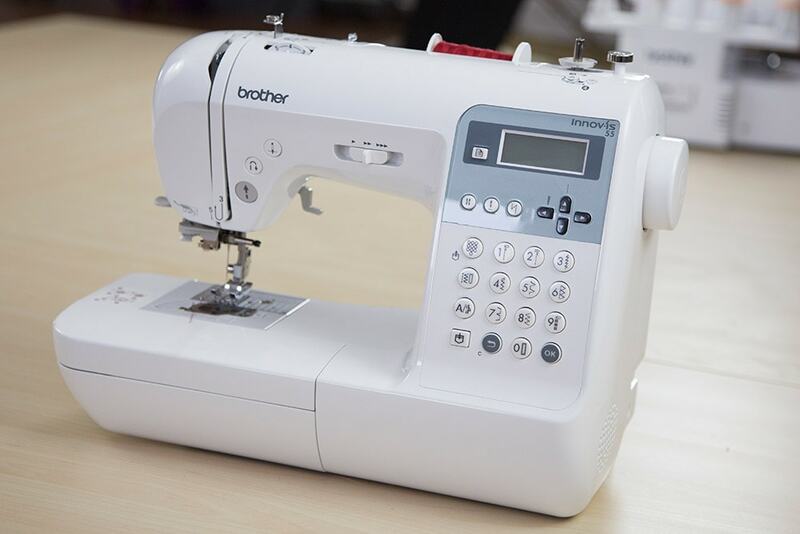 The very first step of getting into sewing, is actually to buy a (more or less) proper machine. Doesn’t need to be much. Ages ago I bought a pretty cheap one on Amazon for around 100$ and it served me very well for many many years. 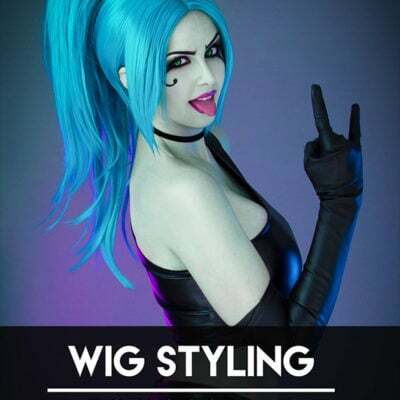 Besides the regular stitches it also offered a zig-zag and stretch-stitch, which are quite important for a cosplayer. Being cheap and poor however, I never brought my machine in for service and maintenance and so it sadly just died at some point. Keep in mind: Try to bring your machine in for maintenance at least once a year. Most local fabric shops offer this service for only a couple of bucks. 2. 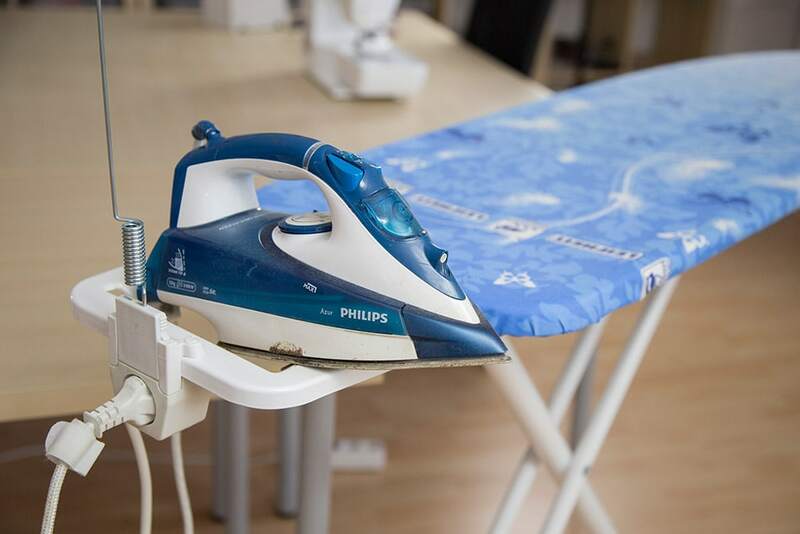 Next to the sewing machine, it’s also a very good idea to get an iron as well as an ironing board. Chances are probably high you can rent one from your mum or granny. This tool is good for a lot more than just ugly getting wrinkles out of your fabric. Use it to apply vinyl stencils or other heat-activated applications. Create folds to give your fabrics a completely different look or make your fabric stronger and thicker with interfacing. You will not regret getting an iron. I promise you. 3. While I struggled a lot with sewing myself, I actually figured out that instructional books are a great help. While you can find pretty much all the info scattered throughout the internet, having it all neatly organised in one place helps a great deal. my favourite is “Nähen leicht gemacht” from Burda though I’m not sure it’s available in English yet. 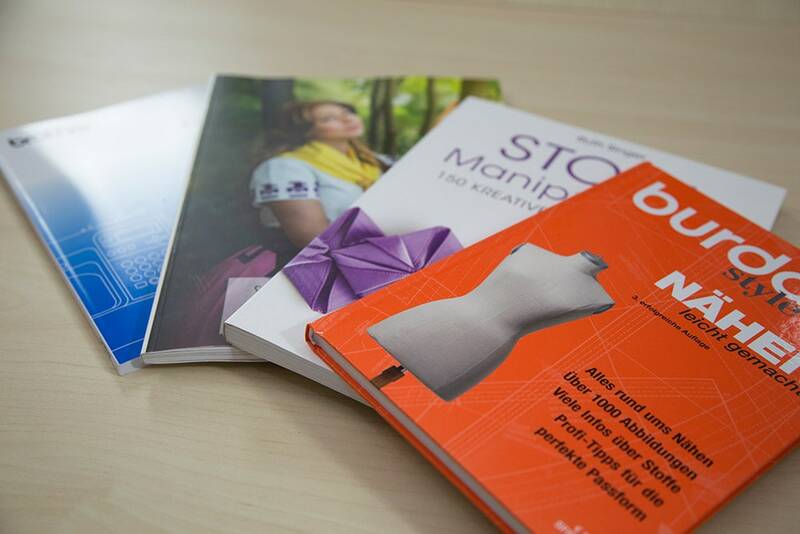 There are plenty of books which are specialised in pattern making, sewing basics, embroidery or artistic folding techniques. It’s also surprisingly (well not really surprisingly) helpful to check out the manual of your sewing machine. It saved my hide more than once. While all these books try to teach you different techniques “the proper way”, I wasn’t really able to find one that just wants to help you get started and defeat your fear of sewing. 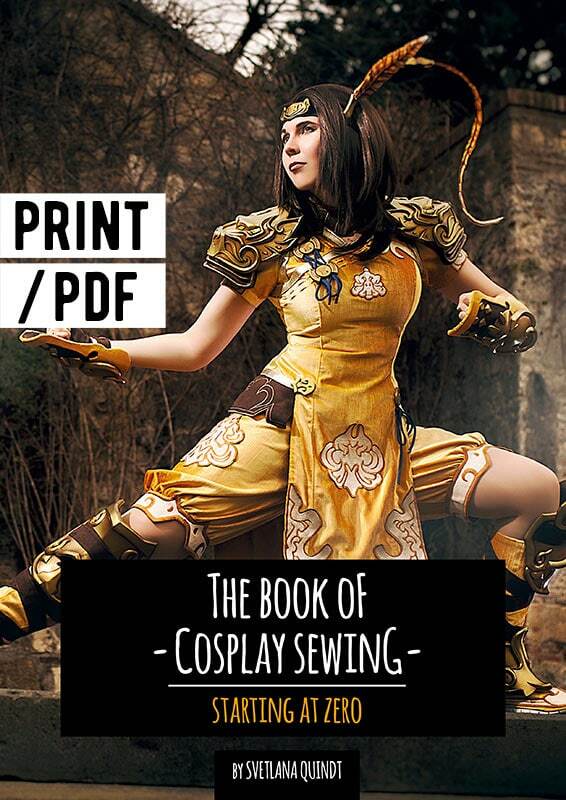 That’s why I wrote “The Book of Cosplay Sewing – Starting at Zero“. I wrote this book trying to think about what kind of book would have been helpful to me when I got started with sewing. It’s not only about sewing techniques however. You’ll learn which types of fabrics there are and what’s the best choice for your project. 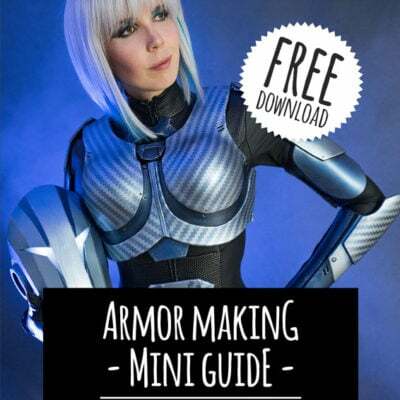 There is also a chapter about working with and altering existing patterns, sewing mock-ups and attaching your armor to fabric. I really hope it’s helpful! 4. Another great help are patterns! 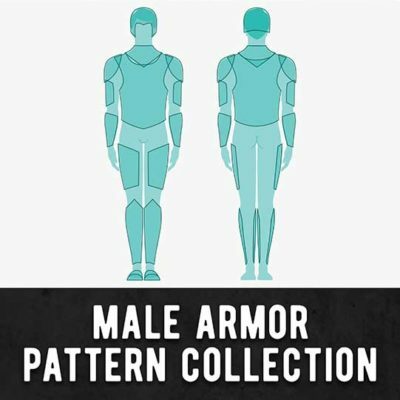 Burda, Simplicity and McCall’s all offer a wide selection of pre-made pattern for all kinds of different costumes and characters. Just grab the pattern, unfold it, pick the size and trace all the shapes on fabric. 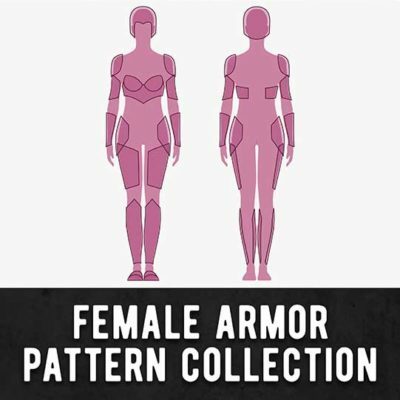 Many of them include sewing instructions, options for adjustments and fabric recommendations as well, so it’s a good idea to check what else is in the package. One of my favourite patterns is a slim dress from Burda, which I used and altered for plenty of costumes. Below you can see a couple of different costume I used this dress pattern for. None of them looks the same. 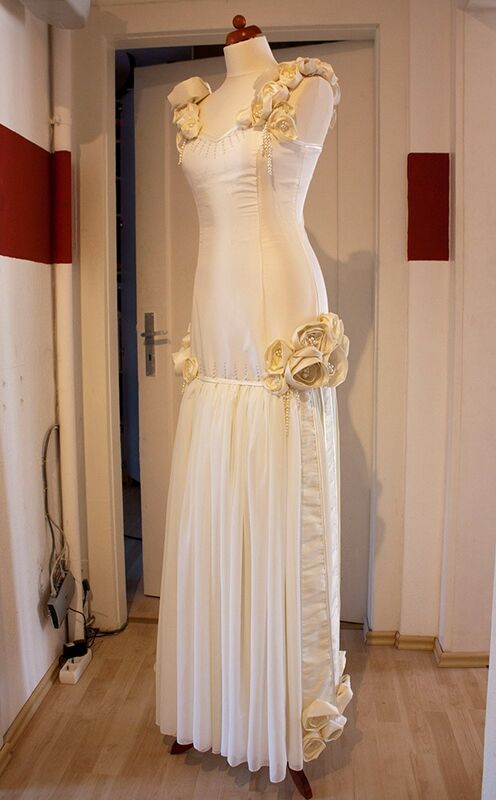 I even used it for my wedding dress. 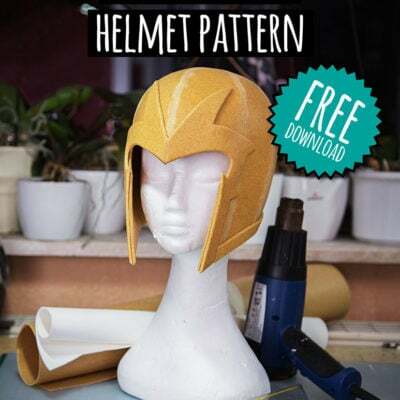 Check out my book to see how I changed the original pattern to achieve so many different looks! Sewing is clearly not as hard to learn as I initially thought. You’ll notice this pretty quickly too once you get started. It’s super fun! I hope I made you curious! Check out the video of how I made my Mi’qote costume from Final Fantasy FXIV if you want to watch how a sewing costume is made from start to end!